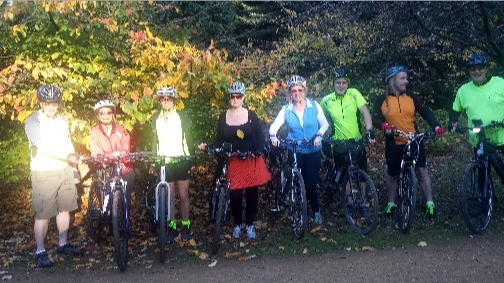 We’re a voluntary group of local residents of all ages who use bikes for transport and leisure. We think that the bicycle has an important role to play in creating a healthier, cleaner and safer environment. Our aim is to further the interests of cyclists and other vulnerable road users in and around Woking. Each year we organise a number of bike rides intended for those less confident at riding a bicycle any distance. These rides of about 15 to 17 miles, lasting a couple of hours on a weekend afternoon, are very popular. You can find out about this year’s rides on the Our Rides page. Take a look at the Blog to see what we’ve been getting up to recently, including photos. Our Photo Gallery is a slideshow of photos taken over past years. We also campaign actively on behalf of the local cycling community – have a look at our Campaigns pages to see what we’re doing – and collect all sorts of information useful to cyclists in the Woking area. Look under Useful Information for this. 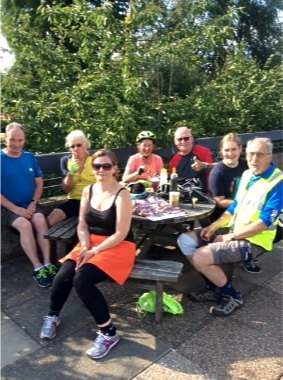 Finally don’t forget our regular, all-year-round pub night at The Sovereigns in central Woking on the last Tuesday of the month – a chance to socialise and swap cycling tales! To see the events for any month, select the month and year, below, click on ‘Go’, then click on a date in bold for more details. The Events Diary page has a list of all events for the rest of the year.